Easy-going and relaxed but home to Sicily’s liveliest Carnevale! 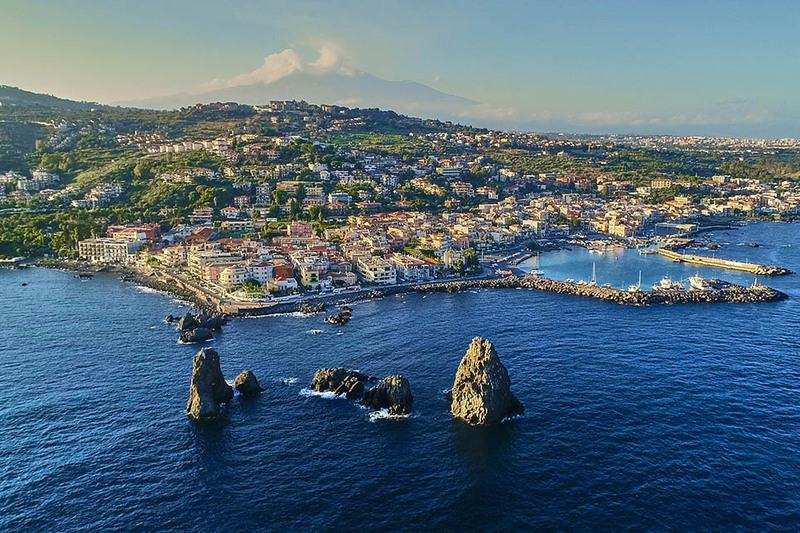 Easily accessed from Catania (5km) and Taormina, Acireale sits high above the Ionian Sea on the craggy Riviera dei Ciclopi. 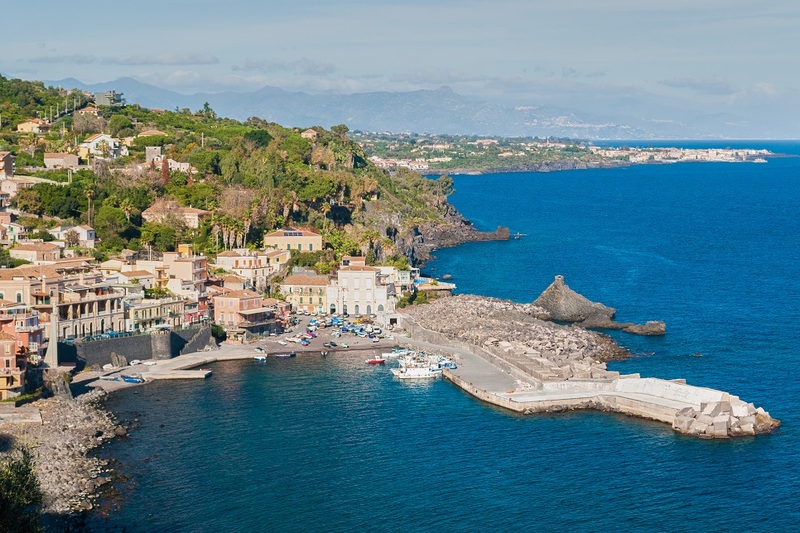 The town is the largest of the seven towns that were founded on the river Acis to the east of Etna (each sharing the prefix ‘Aci’), and life here floats along at a gentle pace, peopled by far fewer tourists than at neighbouring Taormina. Beaches are generally rocky. There is no shortage of art and architecture. Several fine baroque buildings, including the Cathedral, the Basilica dei Santi Pietro e Paolo, the town hall and Palazzo Modò, are well worth visiting in the centre of the old town. Apart from the great 17th century Baroque portal, highlights include the 1843 sundial and the bell tower to the right of the Basilica’s façade. Leading from the Piazza del Duomo, Corso Umberto I is the place to go for shops and gelaterie. Elsewhere, there is the magnificent Zelantea Library and Gallery and the spectacular views of Mount Etna and over the Ionian Sea from the Villa Belevedere public gardens. But the big attraction at Acireale is without doubt its Carnevale which is one of the best in Sicily. 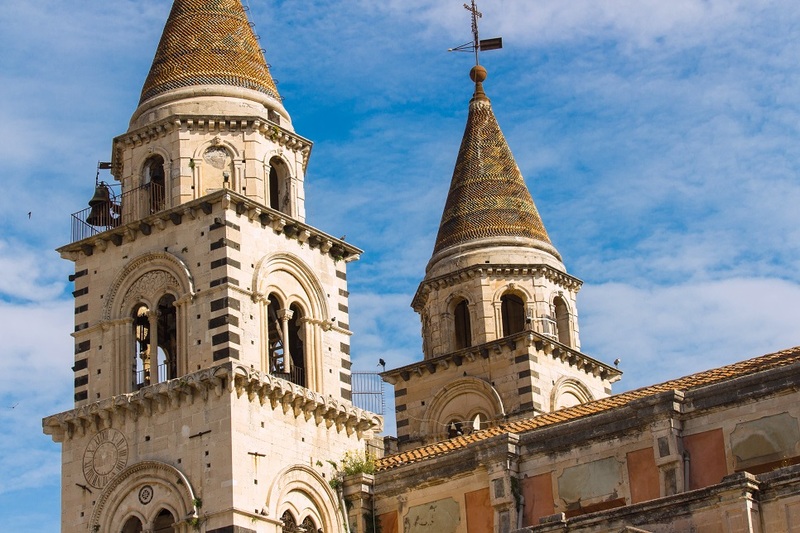 During the two weeks before Lent, the streets of the city are crammed full of revellers, parading floats, concerts and the obligatory gastronomic offerings that come hand in hand with partying in Sicily! 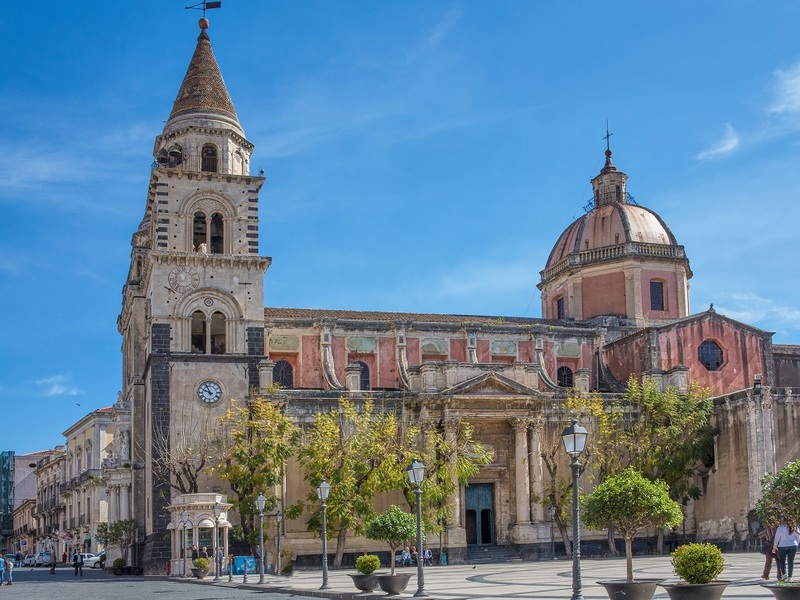 In common with so many other Sicilian towns, Acireale is steeped in mythology. 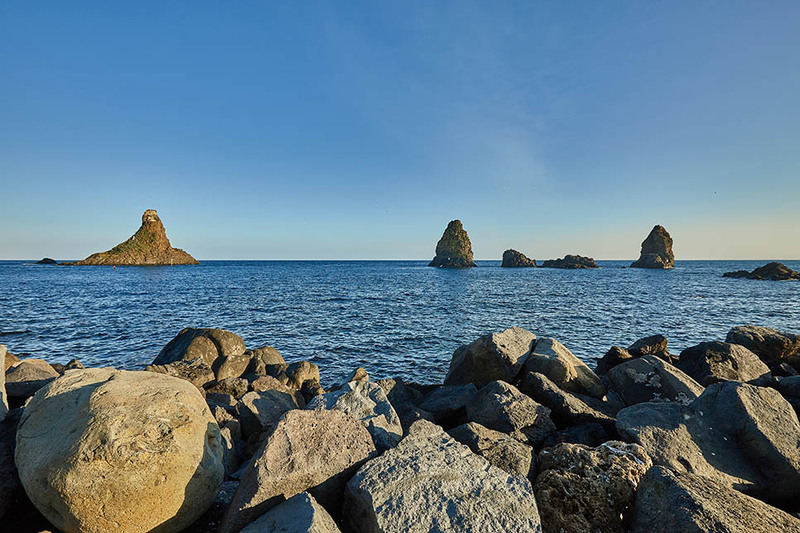 Legend has it that the love affair between a simple shepherd boy, Acis, and Nereid sea goddess, Galatea, instilled feelings of jealousy and rage in the giant Polyphemus resulting in him hurling a chunk of Mount Etna at Acis who was killed. 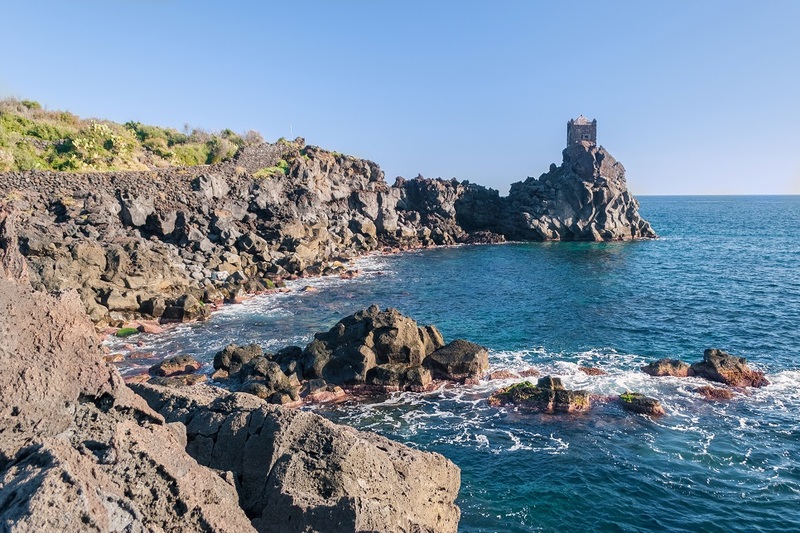 The inconsolable Galatea transformed Acis’ remains into a river which ran from the foothills of Mount Etna down into the sea where they were joined as one.